Compact reuse systems - Μεσόγειος Α.Ε.  Compact reuse systems - Μεσόγειος Α.Ε. The product is a compact, integrated solution for the reuse of treated wastewater by incorporating membranes and other machinery in a closed autonomous container. 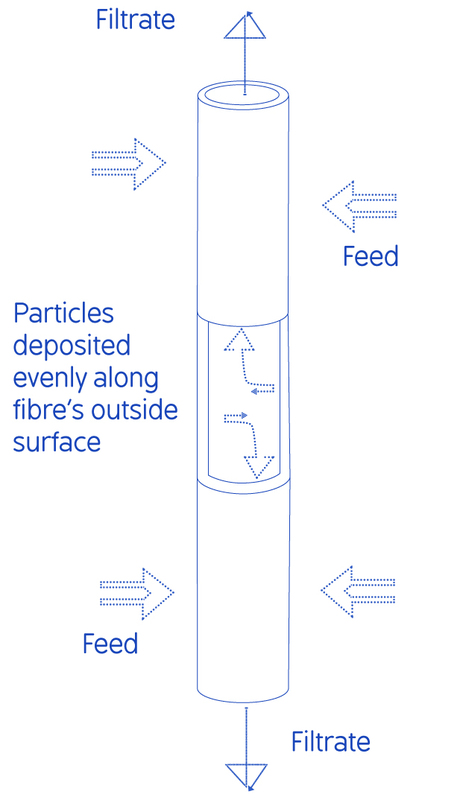 Ultrafiltration membranes used in pressure vessels are suitable for the retention of suspended solids from the secondary effluent of a typical wastewater treatment plant, while at the same time achieve disinfection, due to the larger size of most pathogenic microorganisms from the membranes. 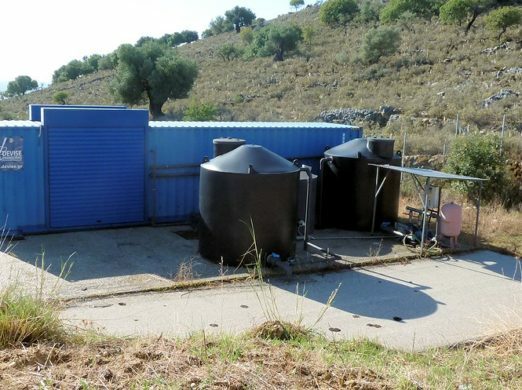 This allows the reuse of treated wastewater safely after fully meeting the requirements of the greek and European legislation. 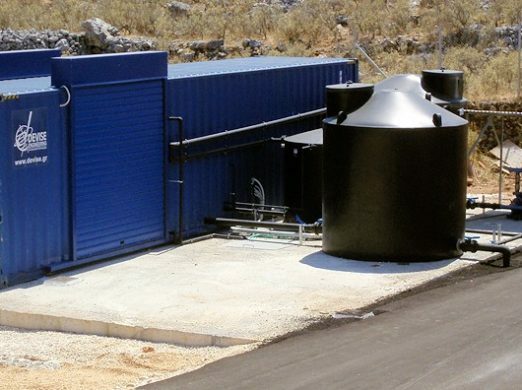 The system is an autonomous unit which can be installed even in existing WWTP downstream secondary sedimentation without special fieldwork requirements, since all equipment is pre-installed in containers, which are simply installed on a concrete foundation.The ultrafiltration membrane systems have modular structure allowing the combination of more units to create the appropriate model with the necessary capacity. Construction of new urban and other(industrial, landfill leachate, etc.) wastewater treatment plant with high quality effluent requirements. Upgrades existing wastewater treatment plants to improve effluent quality for reuse for irrigation. 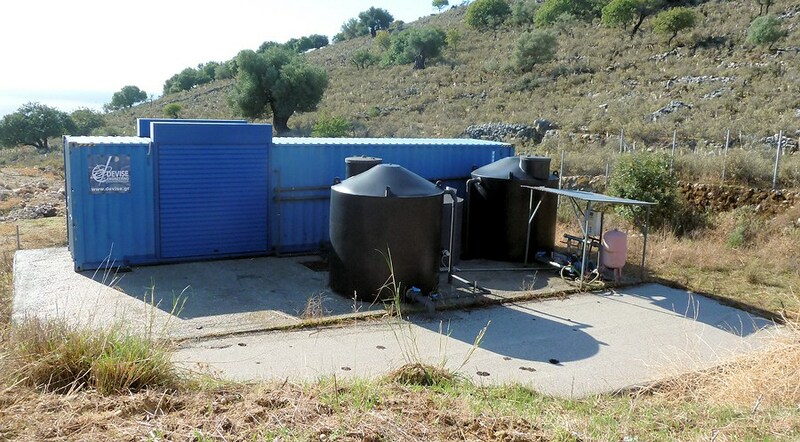 The project involved the supply and installation of a tertiary treatment system with integrated membrane ultrafiltration (UF) for the treatment of secondary effluent of the WWTP Poros – Skala N.Kefalonias. All the necessary equipment, including membranes and the pre-filtration was pre-installed in a metal container with hinged doors.